Seeds of Knowledge examines the process of knowledge construction among rice farmers - the cultivators of lowland irrigated rice fields on the north coast of West Java. It tells how these farmers received, developed, and then transmitted knowledge over a period of two years between the 1990 dry season, when they had experienced a severe outbreak of white rice stem borers, and the end of the 1989-1990 rainy season. 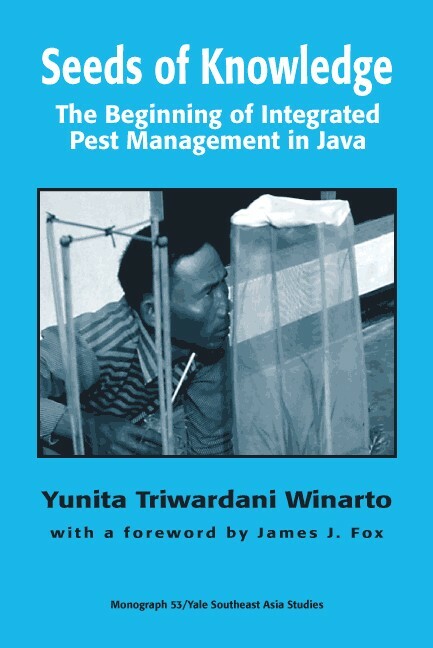 It is the story of how the introduction of Integrated Pest management principles led to changes in the farmers’ knowledge of pests and diseases and, subsequently, to changes in their practices of farming as they incorporated the new ideas into a substantial body of local knowledge that they modified and developed through time. for Ordering Information and other available books. Yale Southeast Asia Studies is a non-profit publishing entity at Yale University.